Zanu-PF Mashonaland East provincial executive yesterday passed a vote of no confidence in deputy chairperson Cde Stephen Chiurai and secretary for finance Cde Simbaneuta Mudarikwa for fanning factionalism and undermining the authority of the President.This followed the booting out of provincial chairperson Cde Ray Kaukonde for the same reasons recently. The Mashonaland East youth provincial executive also kicked out its secretary for gender Cde Charity Chakanyuka on Friday. A total of 27 out of 40 provincial executive members signed the vote of no confidence, while 21 out of 40 youth executive members signed for the ouster of Cde Chakanyuka at a meeting convened in Marondera. Announcing the vote of no confidence, provincial executive secretary for security Cde Everest Pfumvute said Cde Chiurai and Cde Mudarikwa worked in cahoots to mobilise funds given to members of the party to dethrone President Mugabe. Cde Pfumvute alleged that Cde Mudarikwa and Cde Chiurai received funding amounting to $180 000 from CIA agent Eric Little to campaign against the President. 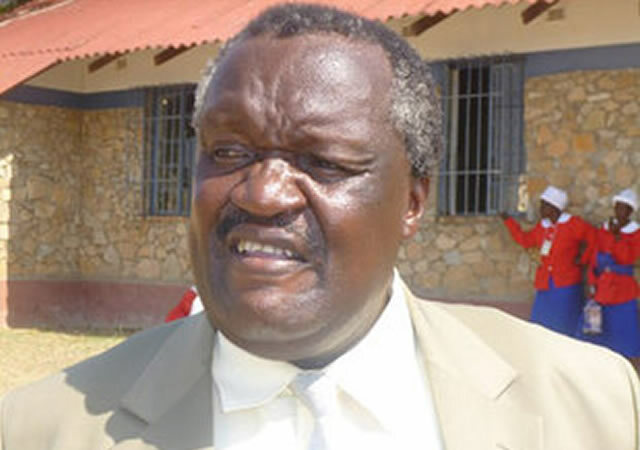 “Cde Mudarikwa and Cde Chiurai mobilised party youths to go to Mutare to support former war veteran’s chairman Cde Jabulani Sibanda when he was attacking the First Family,” he said. Cde Chiurai and Cde Mudarikwa were alleged to have produced a book with certain selected party members who were supposed to go to congress to pass a vote of no confidence against President Mugabe.